*Up to 6 Week Lead Time if not in stock. The Bentley-Harris Expando® FR Plus polyester braided sleeve is flame resistant withstanding 125°C and cold environments of -70°C not allowing the sleeve from catching fire. This sleeve will resist chaffing, abrasion, and cutting for ultimate protection for your wires, hoses, and cables. Maximum expandability comes from the open-weave construction which is designed to prevent the trapping of heat, humidity, and moisture. 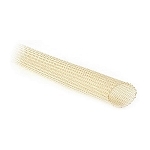 All major extreme environment industries, including NASA, the military, and oil refineries utilize the braided cable sleeves for maximum protection. Mechanics have been known to use them in engines as hose sleeves and wire sleeves. You can be a layman to install the braided tubing; it is very easy to cut without the use of a hot knife; all you need is a sharp edge or a pair of house scissors. Don't worry about fraying during the installation or after, the sleeve is designed to resist fraying even while cutting. 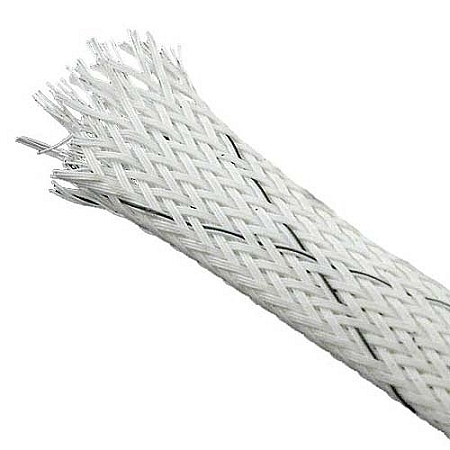 Choose from many braided sleeve sizes available for most cable harnesses. 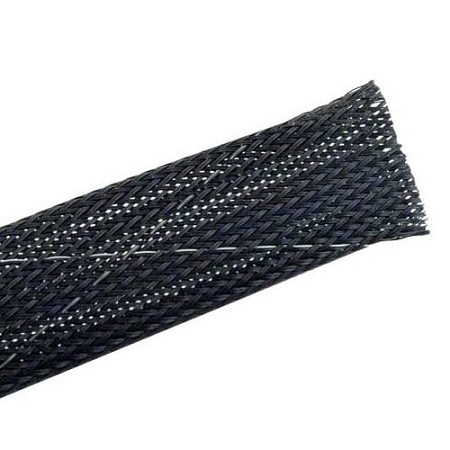 Bentley-Harris Expando® FR Plus braided sleeving is UL recognized as a VW-1 component, F.A.R. Part 25 approval, RoHS compliant, and will last forever. There are two colors available; Black w/ white tracer and White w/ black tracer. Up to a 6 week lead time if not in stock. Resistant to water trapping and humidity. Self fitting open-weave construction fits any size and shape application. Assmbly time reduction; can be cut with scissors, eliminating the need for hot-knife cutting. Fray resistant and allows for frequent expansion at the cut ends without unraveling. UL VW-1, ISO 14001 and TS16949 certified. Composed of a braided polyester, PET. Thermal protection ranges from -94° F to 257° F or -70° C to 125° C.
Self-extinguishing when used to encase typical non-flammable wires, hoses, or cables. Conforms to ASTM and MIL standards.